Lively, quirky tales from the nation’s best children’s authors, in a zippy full-colour format to build up an appetite for books. 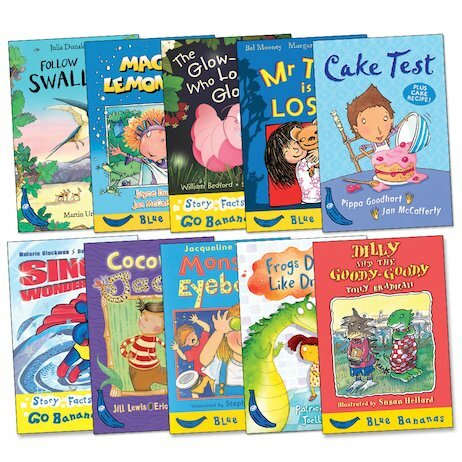 Featuring romping, stomping stories by celebrated writers like Julia Donaldson, Jacqueline Wilson and Malorie Blackman, these vibrant storybooks are a million miles from the dull look and feel of many traditional readers. 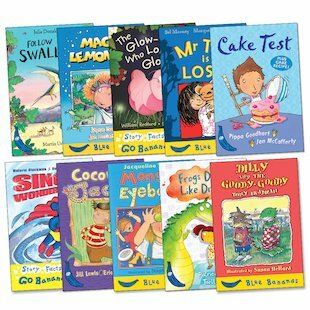 Part of the popular Egmont Bananas structured reading series, they each contain a single story which encourages children to sustain their reading, plus dynamic and humorous artwork full of helpful picture clues. Watch young readers go bananas for them! Make your own Lassi drink. Can you write like a Viking? Make your own spooky shadow puppet. Play the amazing Mr Alien game.